William Peltin - Logistics Property Co.
Bill has more than 30 years of transactional law experience, with a concentration in commercial real estate development. Bill began his legal career in 1987 as an associate in the real estate group at Rudnick & Wolfe (now DLA Piper) and then moved to the real estate group at Gardner, Carton & Douglas (now Drinker Biddle) in 1990, where he was elected partner in 1996. He left Gardner, Carton in 1999 to join Ridge Realty Group, LLC (a client and predecessor to Ridge Property Trust and Ridge Development Company) as general counsel and a principal. From 2001 until 2005, he was a partner with the Chicago law firm of Fox, Hefter, Swibel, Levin & Carroll. From 2005 until the formation of Ridge Development Company in 2014, Bill served as Executive Vice President and General Counsel of Ridge Property Trust. From 2014 until the formation of Logistics Property Company in 2018, Bill served as outside general counsel to both Ridge Property Trust and Ridge Development Company. 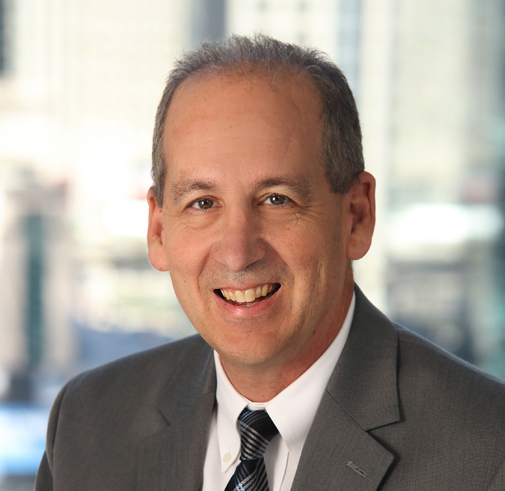 During his legal career, Bill has been active in various volunteer and civic endeavors, including serving on the Long Grove Planning Commission and Zoning Board of Appeals and the Board of Back 2 School Illinois. Bill received his Juris Doctor from the University of Wisconsin Law School, Madison, WI where he was an editor on the Wisconsin Law Review; and his Bachelor of Science in Business Finance (with honors) from University of Illinois at Urbana-Champaign, Champaign, IL.